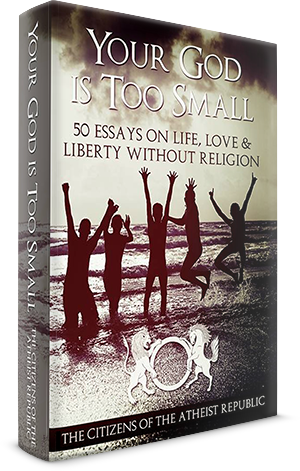 I know that atheists can be generous, kind and compassionate human beings who acknowledge and even embrace mYsterY. I also believe we can be doubters - people who do not blindlY accept things at face value, people who do not tightlY grip our stronglY held beliefs. I believe we can use our doubt to light a path toward greater knowledge, understanding and problem solving. What a fantastic thing! 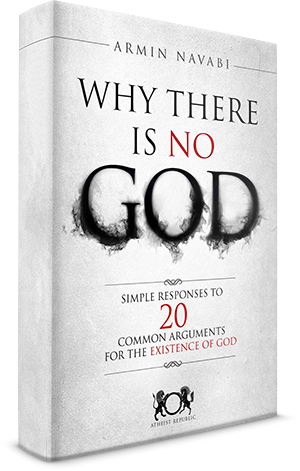 If there were a book called The Tension of Doubt and Certainty-Why We Need Both written by an Evangelical Pentecostal 12 year Minister turned atheist I can say it sounds like book I would like to read.. hint hint Makeesha Fisher... For now I guess I will settle for her post by the same name. 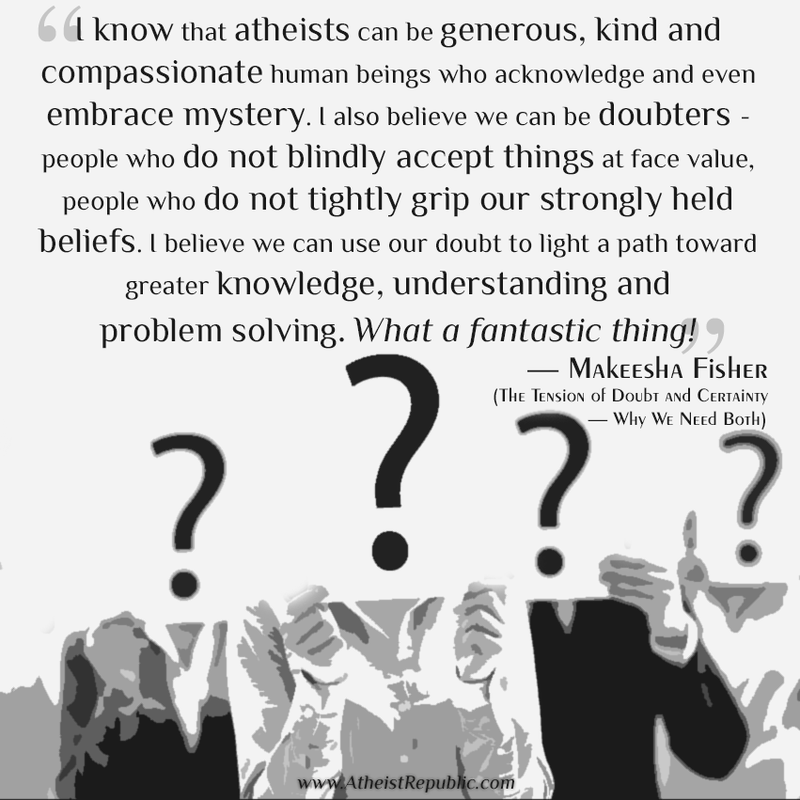 No doubt, atheist can be annoying with their constant doubt and criticism and surely we can use our doubt to as Makeesha Fisher says, "light a path toward greater knowledge, understanding and problem solving." Lets face it the world world be in a great big steaming pile of doo without some of us, so yeah it is indeed a fantastic thing. Unfortunately, many of those who have this blind faith she mentions are blind to the good we contribute to this world. One of the most annoying things I hear is when someone says "The lord works in mysterious ways" octriply annoying when when they attribute the actions of atheist to God's work.